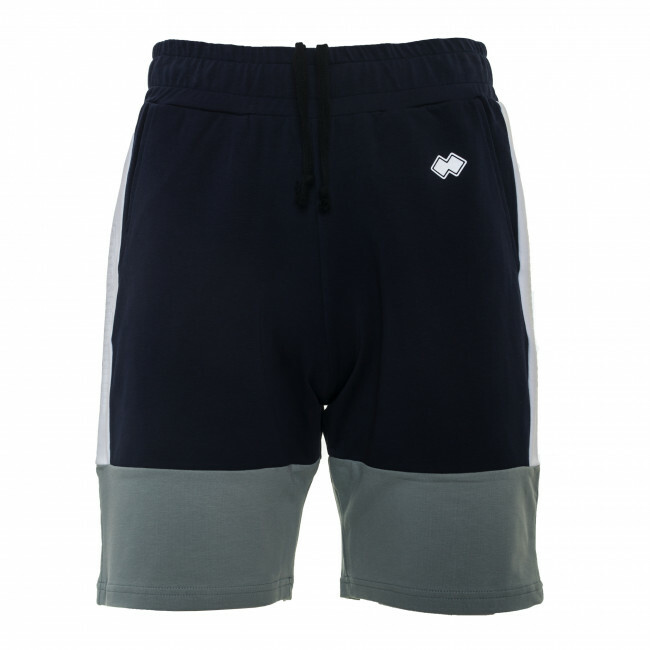 Men's shorts made from lightweight, elasticated fabric for a long-lasting and comfortable wearability. Slightly loose fitting, inspired by the world of basket, they have a modern and fashionable look. The design is embellished with the tone-on-tone screen printed lettering down the sides. The elasticated waist band with drawstrings guarantees carefree and customised wearability. Composition: Summer Elastic Fleece 95% Cotton, 5% Elastane.